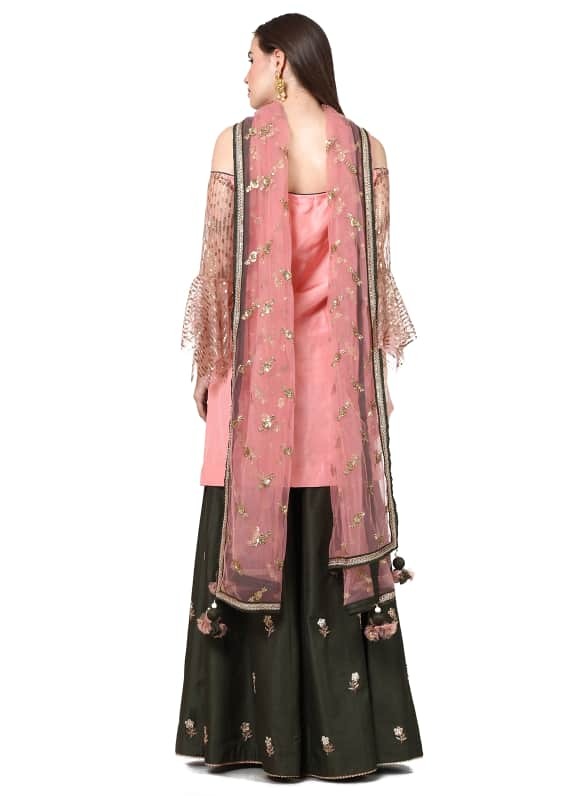 This set features a pink sequins embellished frill sleeves kurta. It is paired with a dark green embroidered sharara and net dupatta with tassels. 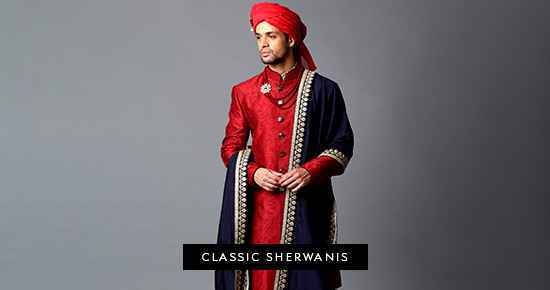 Wear this festive ensemble to a mehendi or an engagement party. Pair your look with earrings by Amethyst.